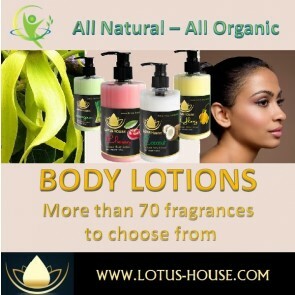 300ml Natural Body Lotions are made in Thailand – yes the same that make those wonderful Natural Handmade Soaps, Luffa Soap, Shower Gels and Oils … This wonderful fragrant body lotion is soothing, hydrates and nourishes the skin. Apply to the entire body with particular attention to the hands, feet, elbows and anywhere else prone to dry skin. Leaves the skin feeling soft, smooth and moisturized.